A Stocking Full of eReading and Viewing: Happy Holidays! 'Tis the season to be jolly, apparently, and so Film Studies For Free is happy to oblige with some extremely jolly, serious, and completely free eGifts for the festive season, ones from wise men and women around the world. You can find them liberally scattered in list form, below, under the six headers in bold. This bountiful blog will be back early in the New Year with its list of Best Online (and Open Access) Film Studies Resources in 2012. So, if you haven't taken part in the readers' poll for that yet, you still have a little time. In the meantime, FSFF wishes you very happy holidays indeed! The first array of eBook publications from SEQUENCE Serial Studies in Media, Film and Music has just been launched — a central element in REFRAME and SEQUENCE’s particular model of academic ePublishing. You can now read SEQUENCE 1.1 — Steven Shaviro’s magisterial and open access article about a film about the end of world (‘MELANCHOLIA, or, The Romantic Anti-Sublime‘) — in a variety of free eBook formats. Just click here to check them out and download them to your devices. Leshu Torchin's current research focuses on how screen media bear witness to human rights abuses and genocide in order to mobilise audiences. In her guest post for RE.FRAMING ACTIVISM, Torchin introduces some of the issues that are central to her new book, Creating the Witness: Documenting Genocide on Film, Video, and the Internet. Thanks to Torchin and the book’s publishers University of Minnesota Press, REFRAME has been granted the permission to share the extensive introduction to the book online. You can read it here. AUDIENCES - a wonderful new book from Amsterdam University Press and a bumper new issue of PARTICIPATIONS! Film Studies For Free is delighted to pass on news of the publication of an open access version of a wonderful new book from Amsterdam University Press. Audiences: Defining and Researching Screen Entertainment Reception is an extremely high quality collection edited by Ian Christie, Professor of Film and Media History, at Birkbeck, University of London. This great tome has, of course, been added to FSFF's permanent listing of Open Access eBooks. Please support its generous publisher and author by ordering a copy for your university library! Since we're on the subject of audiences, it seems a brilliant moment to reproduce, below, links to the incredibly rich contents of the latest, just published, issue of PARTICIPATIONS, the excellent online journal of audience research. 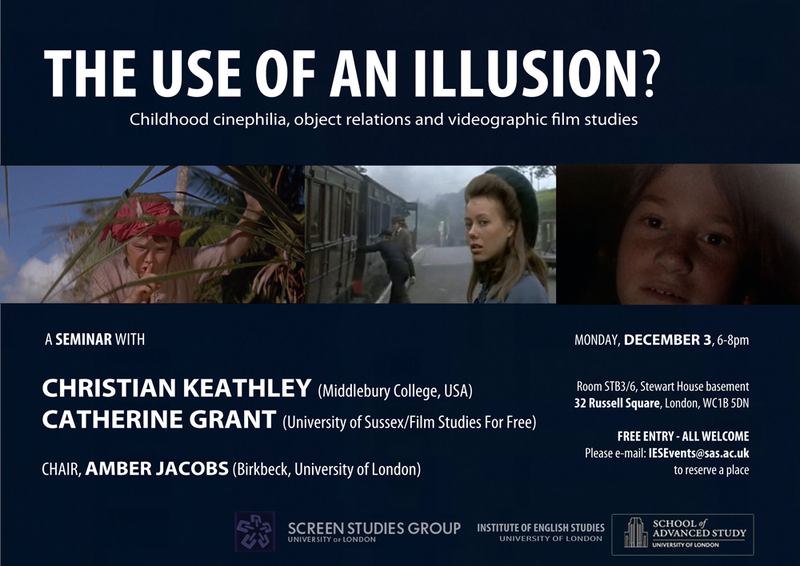 Not all items are directly film studies related, but they should be of interest to all researching issues of reception in film and media culture. Frame grab from Amour (Michael Haneke, 2012). Read Roy Grundmann's article on this film. [Amour]’s particular take on the moral tale becomes clearer when we compare it to the moral tales of French New Wave filmmaker Eric Rohmer. As Rohmer explains, the conte moral does not pivot on characters’ actions, but on their inner conflicts and on how characters rationalize their motivations that arise from these conflicts. It has been noted that Rohmer’s films, like many examples of the Nouvelle Vague, are filled with dialogue in which the protagonists verbalize their feelings, perceptions, and mental states. Haneke’s new film harkens back to this pattern. 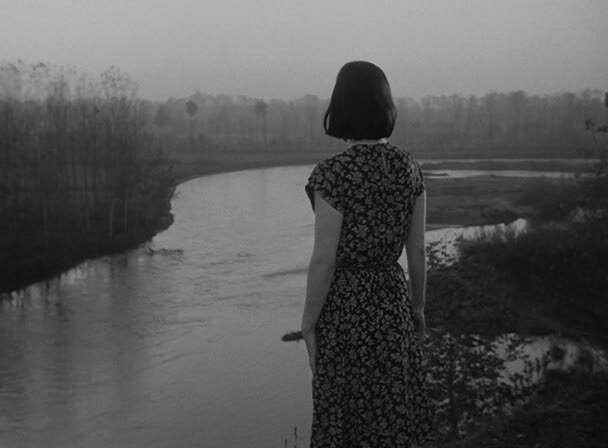 Chronicle of an Auteur: More Antonioni Goodness! Film Studies For Free presents the second of its celebrations of the centenary of the birth of Italian filmmaker Michelangelo Antonioni. Below are embedded the video recordings of a number of unmissable talks at Antonioni and the Arts, an event held at Royal Holloway, University of London, in October to mark the anniversary. Thanks to Royal Holloway's School of Modern Languages, Literatures and Cultures for hosting the talks, as well as taking the trouble to record them and make them freely available online. This latest entry coincides with Cronaca di un autor: Convegno dedicato a Michelangelo Antonioni nel centenario della nascita, a marvellous conference, with an amazing array of speakers, taking place between December 11-13, 2012, merely the latest in a series of brilliant, celebratory events in Ferrara, Antonioni's birthplace. Who knows? Maybe there'll be some more videos to embed here at FSFF! Hope so! In any case, You can see the first FSFF Antonioni anniversary celebration here: Sculpting the Real: Michelangelo Antonioni Studies in the Centenary Year of his Birth. Part 1.a, Arts Building - Antonioni and the Arts @ Royal Holloway, University of London from SMLLC, Royal Holloway, London on Vimeo. Dr. Laura Rascaroli's lecture and discussion. In conversation with Dr. Giuliana Pieri. A study day devoted to the late Michelangelo Antonioni (1912-2007) took place on Friday, 26 October, in Egham, co-sponsored by HARC, SMLLC, Media Arts, and the Institut Français du Royaume-Uni. The centenary of the birth of this master of European modernist cinema was a chance to bring together a number of scholars and curators who have a particular interest in the interdisciplinary aspects of Antonioni’s oeuvre. Dr Laura Rascaroli (U. of Cork) and Dr John David Rhodes (U. of Sussex), who edited the 2011 volume, Antonioni: Centenary Essays, offered a novel perspective on the work of the Italian film-maker by focusing on the influence of art and architecture respectively. The two talks were preceded by a screening of two rare Antonioni documentaries: Gente del Po (1943-7) and Lo Sguardo di Michelangelo (2004). Documentaries are a very important but often less studied aspect of Antonioni’s production. They also ideally frame his career since Antonioni began as a documentary film maker and ended his cinematic career with his tribute to the master of the Italian Renaissance, Michelangelo Buonarroti, in a short film of extreme beauty which helped the audience to reflect upon art and tradition. The general discussion that followed covered a number of fascinating topics relating to Antonioni’s practice, including his consistently ‘open’, physical engagement with the human figure, as compared, for example, with that of Jean-Luc Godard. Part 1.b, Arts Building - Antonioni and the Arts @ Royal Holloway, University of London from SMLLC, Royal Holloway, London on Vimeo. Dr. John David Rhodes's lecture, discussion and round table with Dr. Laura Rascaroli, Dr. Giuliana Pieri and Prof. James Williams. Part 2.a, Windsor Lecture - Antonioni and the Arts @ Royal Holloway, University of London from SMLLC, Royal Holloway, London on Vimeo. Prof. Dominique Païni's presentation of the retrospective 'Antonioni And The Arts. The Gaze of Michelangelo' and lecture. Introduction by Prof. Williams James. The second part of the study day was a lecture by film scholar and curator, Professor Dominique Païni (École du Louvre, Paris), who presented with slides his plans for the forthcoming centenary exhibition on Antonioni in his home-town of Ferrara. Prof. Païni revealed that the physical challenge of the exhibition space, the Renaissance Palazzo dei Diamanti, created the opportunity to present Antonioni’s work as a series of contrasts arising from the idea that cinema is, after all, narrative sculpture in movement, and that shapes are born out of the most basic contrast, that of light and dark. Both the lecture and ensuing discussion brought into focus a series of important characteristics of the work of Antonioni: the identification of women and the nation, ideal masculinity and Italian art and tradition, the critique of humanism and the classical heritage, and the ambiguous relationship between Antonioni and Italy’s post-war tradition of social and political engagement (impegno) which characterised the work of many of his contemporaries working in film and literature. Part 2.b, Windsor Lecture - Antonioni and the Arts @ Royal Holloway, University of London from SMLLC, Royal Holloway, London on Vimeo. A few reflections with Professor Dominique Païni. Translation in English by Alix Agret. 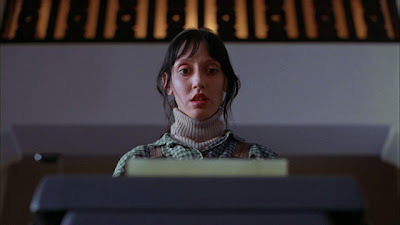 Best Online Film Studies Resources in 2012: Announcing a Readers' Poll! One of FSFF's most popular and most useful blog entries last year was its December 20 roundup: FSFF's Favourite Online Film Studies Resources in 2011. It will repeat this endeavour this year. But FSFF will make things much more interesting, hopefully, by inviting readers' suggestions, and trying to reflect the views gathered in the results. Below are last year's categories. Please feel free to respond to these headers or suggest new ones (FSFF will itself inaugurate some videographical/multimedia film studies categories, for example). You can leave suggestions in the comments below, tweet them to @filmstudiesff, leave them at the Film Studies For Free Facebook page, or send your nominees to FSFF by email. Please feel free to self-nominate! Life is good, thinks Film Studies For Free: a new issue of Scope: An Online Journal of Film and Television Studies has just been published. There's a small but well-edited selection of great articles, and an enormous number of hugely useful book reviews and conference reports. FSFF particularly liked Rachel Lister on Nicole Holofcener's "short story" films and Miklós Kiss on Károly Makk's Szerelem/Love. All contents are listed and linked to below. A free-to-attend University of London Screen Studies Group series event. Full details are given here: http://events.sas.ac.uk/ies/events/view/13234. 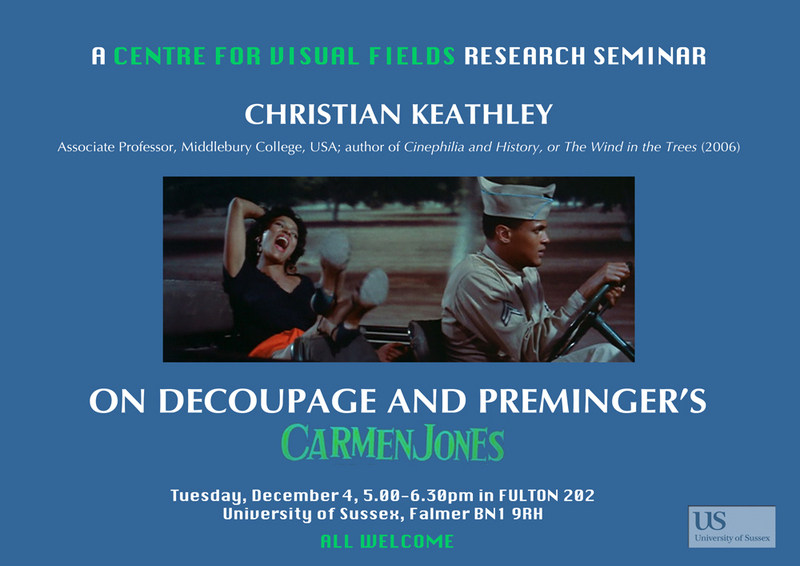 A free-to-attend University of Sussex Centre for Visual Fields event. Further details are given here: http://www.sussex.ac.uk/cvf/newsandevents/events?id=16509. Film Studies For Free is almost unspeakably thrilled that its author is helping to host a visit to her shores by the wonderful film scholar Christian Keathley. So thrilled, in fact, that a collected edition of links to his generously-shared, online, film scholarship is given below. Keathley, Associate Professor of Film and Media Culture at Middlebury College, USA, is the author of Cinephilia and History, or The Wind in the Trees (Indiana University Press, 2006), and is currently completing a second book, The Mystery of Otto Preminger (under contract to Indiana University Press). Professor Keathley’s research interest also focuses on the presentation of academic scholarship in a multi-media format, including video essays. In addition to the two UK events detailed above, Keathley will also give a keynote lecture on his work as part of the lineup for a two-day symposium in Antwerp, Belgium, entitled "FROM PHOTOGÉNIE TO CINEPHILIA 2.0, a seminar on cinephilia then and now". The event takes place between December 7-8. Unlike the two events above, it isn't free-to-attend, but it is incredibly good value. This superb looking symposium is hosted by the Flemish Service for Film Culture, Centre for Cinema and Media Studies (UGent) and Research Group Visual Studies and Media Culture (University of Antwerp) organised in collaboration with Research Center for Visual Poetics (University of Antwerp) and CINEMATEK, with two other internationally recognised keynotes Malte Hagener and Sarah Keller. You can find further details of the symposium here. There should be some open access resources emerging from the above events, and if that happens, FSFF will be among the first to let you know about them. Pass the Salt from Christian Keathley on Vimeo. Video essay on a scene from Otto Preminger's Anatomy of a Murder. Revision of a video made for the Society of Cinema and Media Studies' 50th anniversary conference. FRAMES Cinema Journal Issues 2 and 1!! - Kubrick, Resnais, War Films, Digital Film Studies and more! Film Studies For Free is very happy to announce the online publication of Issue 2 of Frames cinema journal,. The issue contains six fine articles, on a variety of topics, produced in collaboration with the British Association of Film, Television and Screen Studies (BAFTSS). Details and links are given below. A great second issue of NECSUS, the brilliant journal of NECS, the European Network for Cinema and Media Studies has been published. It boasts some superlative articles including Francesco Casetti's must-read article from which Film Studies For Free has excerpted above. For those interested in hapticity, and our experience of the material properties of film, there's a very special section on that topic. All in all (and all the contents are directly linked to below), some truly wonderful work. Well done and thank you NECSUS! An archive video collage exploring some of the psychological and mediatized components of the public's relationship with the UK monarchy. It features excerpts from D.W. Winnicott's 1970 essay 'The Place of the Monarchy' (published in Home is Where We Start From: Essays by a Psychoanalyst, compiled and edited by Claire Winnicott, Ray Shepherd and Madeleine Davis [London: Penguin, 1986]). Although it doesn't mention this, Winnicott's essay was published after the broadcast of the ground-breaking Royal Family documentary in 1969, which opened up new breaches in what the psychoanalyst was raising about the necessary distance and proximity of the public's relationship with the UK monarchy. Film Studies For Free was inspired by two events -- one offline and one online -- for today's entry. The offline happening is an excellent looking conference on the British Monarchy on Screen taking place later this week, between November 23-24. The conference is hosted by the Institute of English Studies, School of Advanced Study, University of London, Senate House, and convened by the University of London Screen Studies Group, the Institute of English Studies, the department of Media Arts and the Centre for International Theatre and Performance Research at Royal Holloway, University of London. A somewhat ambivalent republican, but one indelibly marked by growing up immersed in the UK's mediatised monarchy, FSFF would have loved to attend. But its author is presenting instead at a conference in an actual Republic this weekend, instead. So this blog contributes the above monarchical-video-meditation in lieu of its presence - and there will be an accompanying essay about it for the Filmanalytical website very shortly. Another series of events happening this week - also, sadly, to be missed by a gadabout FSFF -- will take place in Brighton. The Global Queer Cinema project is collaborating with the annual CineCity film festival on the topic of "Curating Queer Film Culture". Information about these really excellent and important events can be found here and here. The inspirational online event was another one FSFF missed... 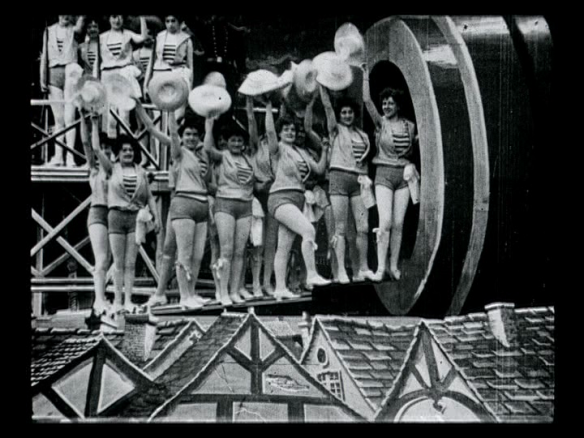 It was the competition which also inspired the above video, although the video took a somewhat different (topical) turn in its making: "The Past Re-Imagined as the Future" Remix Context, held by the brilliant Prelinger Archives and the Free Music Archive. FSFF looks forward to hearing about the winners of that event but, in the meantime, had great fun as usual remixing material from both these amazing, public domain archives, and encourages its readers to have a go at doing the same. Any good film related results should be reported here forthwith.